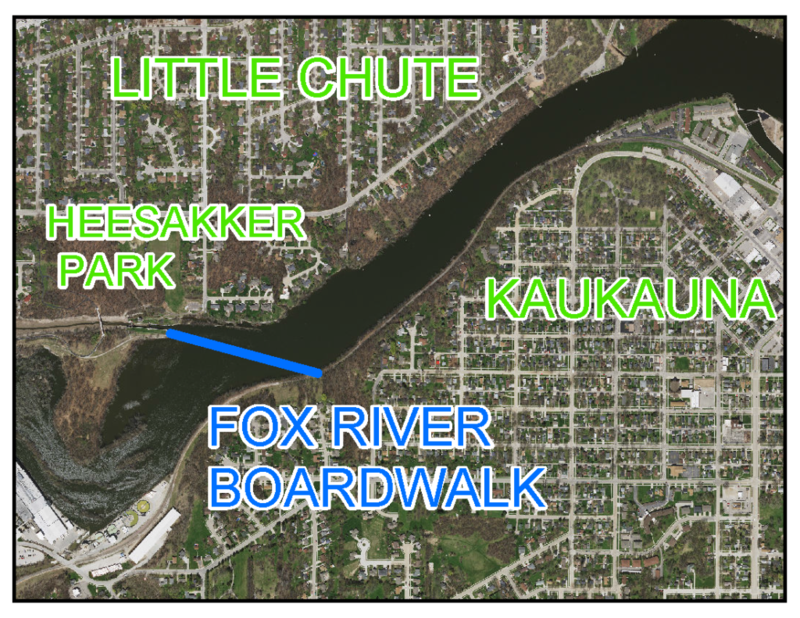 What is the Fox River Boardwalk? 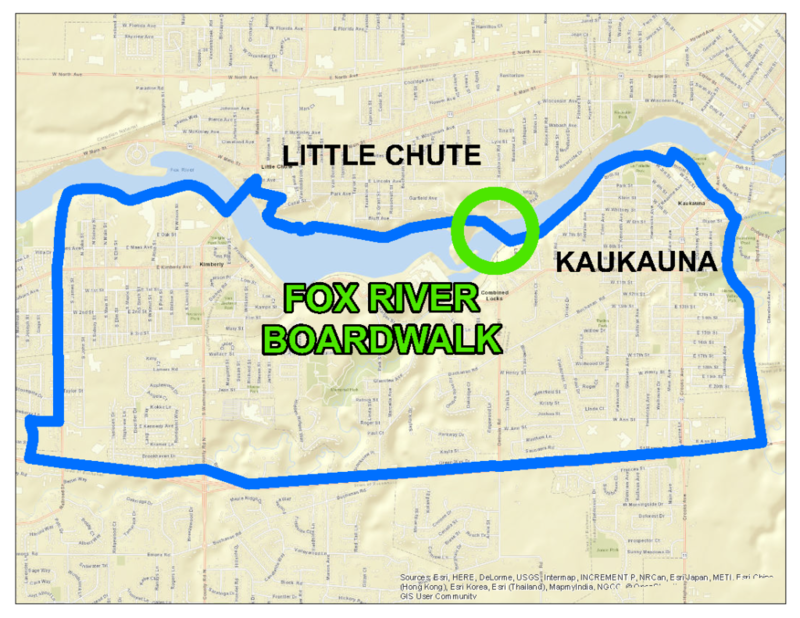 The Fox River Boardwalk is a 1,100 foot bicycle and pedestrian connection between Heesakker Park in the Village of Little Chute and an expanded rail trail in the City of Kaukauna. The Fox River Boardwalk will cost approximately $3.5 million dollars to complete, but more than half of that amount has already been pledged. How does this benefit the Village of Little Chute? Parks and trails encourage physical activity (walking, biking, dog-walking, and running to name a few). More than 60% of Fox Cities area residents are overweight or obese. This project will be part of reducing that percentage. Bicycle and pedestrian trail amenities attract people and spending to our area. An estimated $535 million dollars was spent by out-of-state bicycle tourists in the state of Wisconsin in 2016. Proximity to parks and trails make neighborhoods more desirable places to live and increase property values. How can you be part of making the Fox River Boardwalk a reality? We are more than halfway to our goal, but we are counting on your help to close the funding gap. If you are considering a gift to this project as a community member or as a local business sponsor, we'd love to talk to you. Donations of all sizes will help bring this project to fruition. Naming rights and major sponsorship opportunities are still available. Please contact Adam Breest, Parks, Recreation, & Forestry Director for more information: 920-423-3868 or adam@littlechutewi.org. Donations towards the Fox River Boardwalk are tax deductible and can be made in two ways: by mail or online. Donations by mail (please do not mail cash) may be sent to our non-profit partner organization, Fox Cities Greenways Inc. Payment may be mailed to Fox Cities Greenways Inc, P.O. Box 5, Menasha, WI 54952 and be made payable to "Fox Cities Greenways". Please include Fox River Boardwalk in your check memo. Donations online may be made by visiting Fox Cities Greenways' website. Click on donation amount or select the Special Contribution button to select a custom donation amount. Please include Fox River Boardwalk under Special Instructions and indicate how you would like your name engraved for donations of $100 or more. For contributions $100 or larger, please indicate how you would like your name to be engraved on Boardwalk signage. All gifts $100 or large made by July 1, 2019 will be recognized with their name or organization engraved. Click to see the Fox River Boardwalk Brochure and the Naming Rights Sponsorship Brochure. The Heesakker Bridge, Heritage Parkway Trail, and Mill Street Bridge have been heavily utilized since 2012. We have a trail counter located on the Heesakker Bridge. The statistics from that tracker are listed below. The average attendace per year that cross the bridge is 24,566. It is a very popular trail system for the Village of Little Chute.